REDMOND, Washington Microsoft Corp. is buying Nokia Corp.'s lineup of smart phones and a portfolio of patents and services in an attempt to mount a more formidable challenge to Apple Inc. and Google Inc., as more technological tasks get done on mobile devices instead of personal computers. The $7.2 billion deal announced late Monday marks a major step in Microsoft's push to transform itself from a software maker focused on making operating systems and applications for desktop and laptop computers into a more versatile and nimble company that delivers services on any kind of Internet-connected gadget. The Financial Times says the move will "reshape the telecoms industry on two continents." Microsoft, which is based in Redmond, in Washington state, is being forced to evolve because people are increasingly pursuing their digital lives on smart phones and tablet computers, causing the demand for PCs to shrivel. The shift is weakening Microsoft, which has dominated the PC software market for the past 30 years, and empowering Apple, the maker of the trend-setting iPhone and iPad, and Google, which gives away the world's most popular mobile operating system, Android. 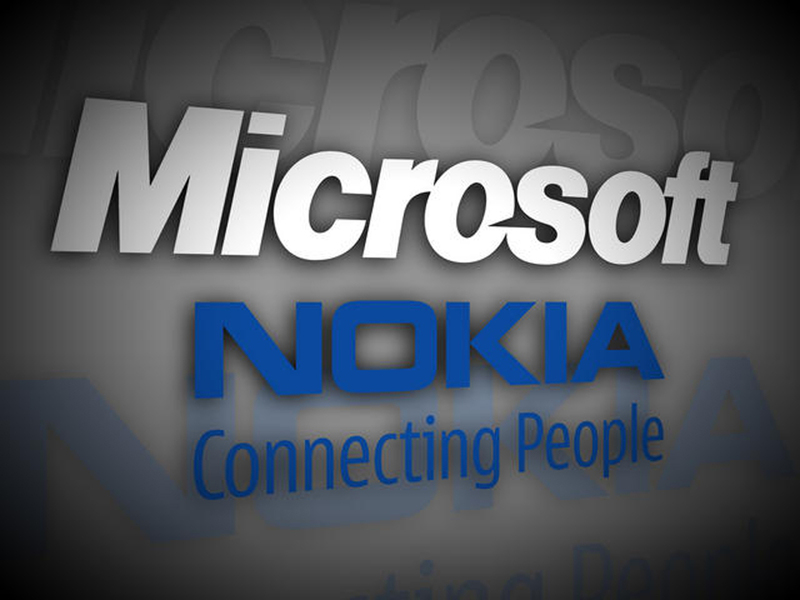 Nokia, based in Espoo, Finland, and Microsoft have been trying to make inroads in the smart phone market as part of a partnership forged in 2011. Under the alliance, Nokia's Lumia smart phones have run on Microsoft's Windows software, but those devices haven't emerged as a popular alternative to the iPhone or an array of Android-powered devices spearheaded by Samsung Electronics' smart phones and tablets. "It's a bold step into the future - a win-win for employees, shareholders and consumers of both companies," outgoing Microsoft CEO Steve Ballmer said in a statement. The acquisition is being made at the same time that Microsoft is looking for a new leader. Just 10 days ago, Ballmer, 57, announced he will relinquish the CEO reins within the next year in a move many analysts regarded as Microsoft's tacit admission that the company needed an infusion of fresh blood to revitalize itself. The proposed price consists of $5 billion for the Nokia unit that makes mobile phones, including its line of Lumia smart phones that run Windows Phone software. Another $2.2 billion will be paid for a 10-year license to use Nokia's patents, with the option to extend it indefinitely. The money to buy Nokia's smart phones and patents will be drawn from the nearly $70 billion that Microsoft held in overseas accounts as of June 30.